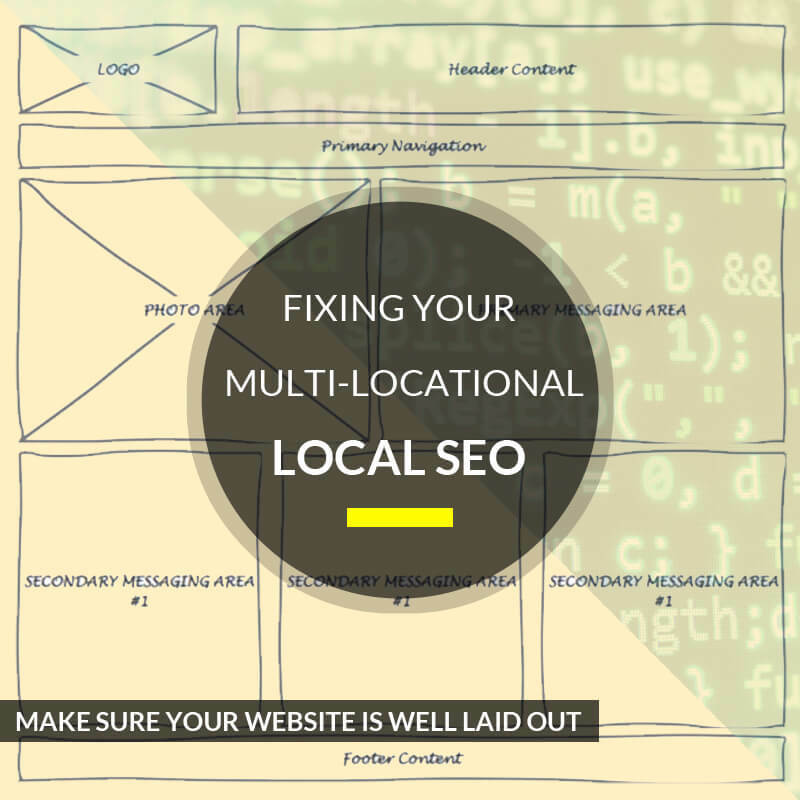 You might not realize it, but your local SEO campaigns need to fine tune your multi-locational SEO campaign and do so now. It’s touch trying to coordinate and manage a business that is multi-locational. It takes great management acumen and applying that to a website calls for professional skills and tact. There are the right way to do things and the wrong way, but if you take enough time to correctly assess the situation you can avoid the pitfalls of a poorly managed website and take great advantage of the tools, techniques that a multi-locational website will need. First of all is to make sure your site is well laid out. Good to top notch design, navigation, and all the basics. Leave no stone unturned regarding the foundation you’re building upon. You don’t want errors in programming your site to get you penalized by the big search engines. Once you’ve got the framework done the next step is quality content. You have to provide just the right quality content that makes your site stand out. You’re promoting your goods and services and that means being honest, precise, and thoughtful. Answer tie right questions the customers will and should ask. Make them feel at home and that their opinion counts. Tag your pics right, have a sitemap, etc. Now get to the backbone here. If you have a multi-locational store, then obviously you need multi-locational pages! Why in the world, so many people forget about it is a mystery. If you don’t have a page that features each of your locations and those special items that associate your brand name with that specific location, then you’re losing a major part of customers, local presence, traffic, and of course revenue. You need to be location specific and not just make what appears to be a doorway page. This page should actually lead to just around three pages featuring your goods and services and the specific location your store is in. Your location pages should be easy to find by Google. If people can only find your location pages after digging through your site, then it’s better than even money that Google won’t. That will penalize you. These pages must have all the vital and relevant information that you want your customers and searchers to find or you’ll leave them in the dark and they’ll resist going to your site. Not only that, but Google will pass you by and that’s something you definitely don’t want. All is not lost, however, Google offers help with their Google My Business where businesses can use the tool to enhance their chances of getting indexed by Google and other Google goodies. This will make your site more visible in all the Google products in one shot. Following Google’s guidelines should be done strictly, but it’s also possible to unintentionally violate Google’s guidelines and get a smackdown. Finally, there are far too many important items that one needs to pay attention to such as citations, NAP consistency (Name Address Phone), reputation and reviews, and more. Stay on your toes regarding local SEO and multi-locational SEO or you’ll be sorry. Next PostNext Is it Worth Keeping Up with SEO?